As a pet owner, you do everything you can to ensure that your four-legged family member lives a long and happy life. That includes feeding them a healthy diet. 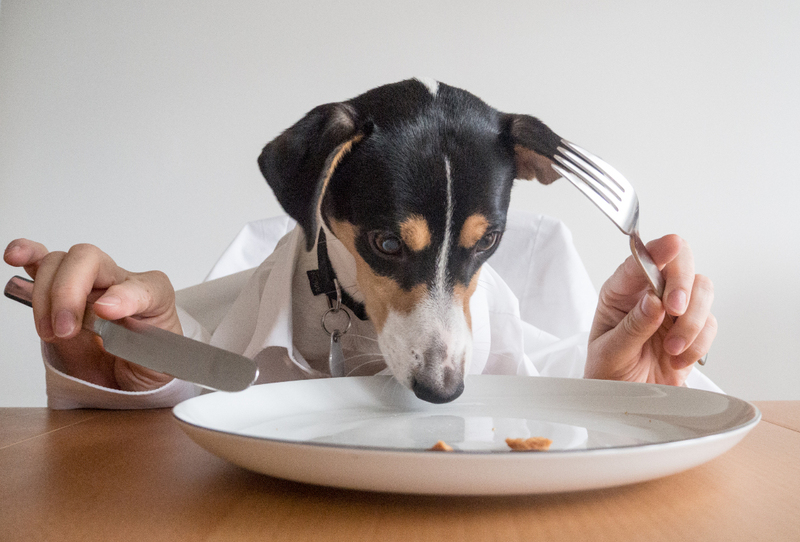 Your dog would be happy to lap up anything that falls on the floor while you are enjoying a meal, but did you know that many of the foods we humans eat are actually harmful or even toxic to dogs? Here are four human foods you can safely share with your dog the next time they’re begging for your snack. Whole grains, such as oats, barley, and brown rice, are good for both you and your dog. Cook them so that they are easily digestible and leave them unseasoned to avoid causing digestive issues. So if you make yourself some oatmeal for breakfast in the morning, feel free to make a little extra for your most loyal breakfast companion. Keep in mind that dogs are carnivores. Grains should make up no more than 7 to 10 percent of their total diet. If you use a commercial dog food, check the grain content to make sure that you aren’t accidentally giving them too much. Of course, you already know that dogs love meat. That does not, however, mean that all meat is good for dogs. Fatty cuts like bacon and rib eye should be avoided. Raw or under-cooked meat can be just as bad for dogs as it is for people, so stick to fully cooked meat, cut or ground into small chunks that is easy for them to chew. Non-red meats like poultry and fish are also great for dogs. Salmon is an excellent source of Omega-3 fatty acids, which help keep your dog’s coat shiny. Chicken is a good occasional substitute for your usual dog food. Just boil it and add it to some plain white rice for a wholesome dinner your dog will eat right up. Vegetables like carrots, broccoli, cucumber, and green beans add crucial fiber and vitamins to your dog’s diet. Serve them raw or lightly steamed with no added oil, salt, or seasonings. If your pooch has trouble chewing big pieces of vegetables, shred or cut them up into smaller chunks. Keep in mind that these are general guidelines and suggestions. Every dog is unique, so keep an eye out for veggies that may lead to tummy trouble. This is one tasty treat you can feel good about giving your dog. A tablespoon of raw, unsalted peanut butter delivers healthy fats and vitamins. A quick warning: be sure to check the label for xylitol, a natural sweetener that’s toxic to dogs. Now that you know which human foods dogs can eat, it’s also important to know which human foods to keep away from dogs. Beef and chicken bones can splinter, causing serious injury. Chocolate, grapes, raisins, macadamia nuts, avocados, onions, garlic, yeast dough, artificial sweeteners, coffee, and alcohol are all harmful if ingested. If your dog gets a hold of something dangerous, find a vet right away. If you’re away from home or it’s after regular business hours, Kuddly can help you connect with a veterinarian from anywhere and at any time of the day or night. By keeping a variety of dog-friendly foods on hand, you can prepare meals that everyone in the house can enjoy — and feel good about slipping your beloved furry friend an occasional treat under the table. I did not know that peanut butter is ok for dogs.